In keeping with the Loreto Educational Philosophy, we ‘promote excellence appropriate to each student’. A culture of high expectations is identified by all international research as a key component of successful schools. Our academic achievements in the State Examinations provide further proof that this is the case. 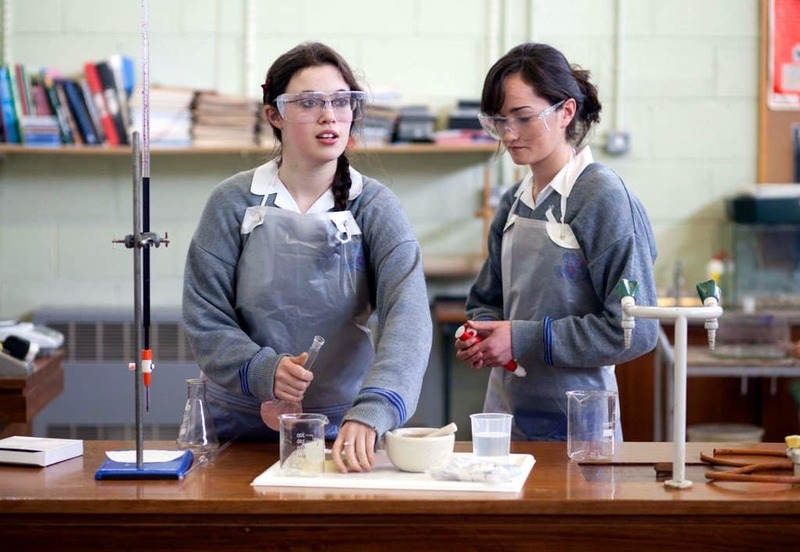 At Loreto, a culture of learning prevails in each class from which students of all abilities benefit. Each year, in the State Examinations, our results far surpass national averages in terms of the numbers of students taking examinations at the Higher Level and the achievement of high grades in all subjects in all levels. Our progression rates to third level are second to none. 96% of the class of 2018 progressed directly to further education, with 76% of the class commencing a degree-level course. 60% of our graduates progressed to study in one of the Universities or teacher training colleges. Our performance in this regard is consistently high, and we have been one of the top ten schools in Leinster for the past ten years (source Sunday Times). 25% of the class continued their education in one of the Institutes of Education, again most at degree level. Our 2018 Leaving Certificate results maintained our consistently high standards. 27% of the year group were awarded equal or greater than 500 C.A.O. points, almost three times the national average. Similarly, multiples of the national average achieved more than 550 (7%) while 56% of our students achieved or exceeded 400 points. Our results in the Junior Certificate also far surpass national averages. While our results surpass national averages, our enrolment of students reflects the national averages in terms of ability. Our successes can be put down to the fact that our teachers care about each student in her/his class. We also have an excellent learning support department that has strong structures in place to support the learning of those who have specific challenges to overcome.